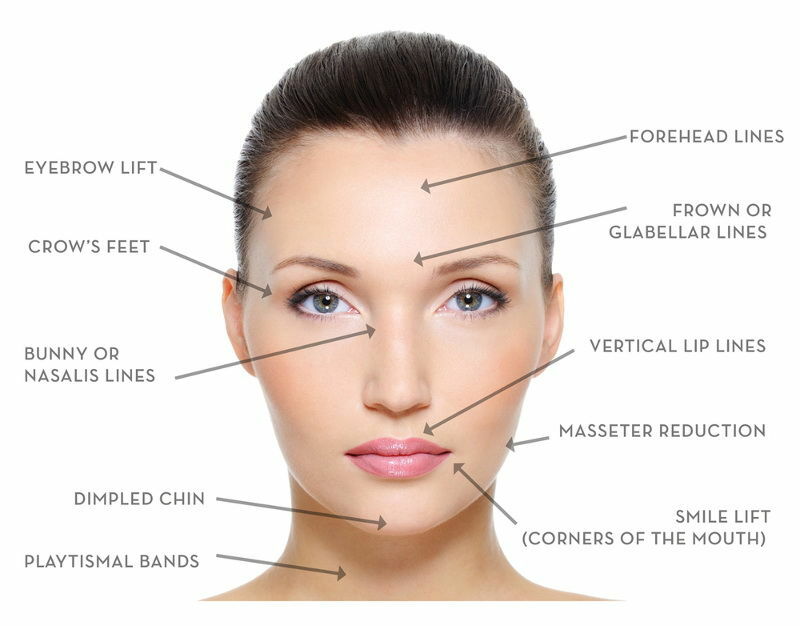 Anti-wrinkle injections are an effective treatment to reduce and prevent wrinkle formation at an affordable price. Wrinkle Causing Facial Expressions are caused by the contraction of Wrinkle Muscles. Repeated action of the muscle contributes to formation of wrinkles and folds. The effects of gravity, sun damage and other environmental factors also contribute to the formation of wrinkles. It is a simple non-invasive procedure. Temporarily causes the facial muscles to relax, softening lines and wrinkles and reducing the severity of visible wrinkles.